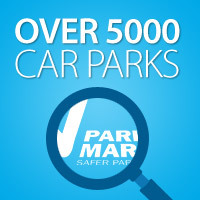 The Hammerson owned Central Retail Park in Falkirk has become the first retail park in Scotland within the Workman Retail portfolio to achieve Park Mark, the Safer Parking Scheme award. This award is aimed at the prevention/reduction of crime and the creation of a safe environment for users of the facility. 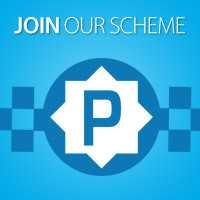 To achieve this Award, the car park has undergone a rigorous assessment by an independent police assessor on a range of criteria such as lighting, surveillance, cleanliness, maintenance, signage, road markings and crime statistics. This assessment is backed up with an additional assessment by a British Parking Association Area Manager regarding the management of the facility. If the facility passes both assessments Police Scotland award a Park Mark. Harry Devine of Workman Retail on receiving the Award said: “As part of our policy for excellent car park management we are very proud to receive the Park Mark Award for this car park within our Retail portfolio. As a service provider that works in partnership with our clients, we have helped Central Retail Park realise its investment in delivering a safe parking environment for its users. Tom Porter of the British Parking Association said: “Central Retail Park has invested a significant amount of time and money within their parking facility and this has created a safe environment for users which is reflected in the achievement of this Award. My congratulations to Workman Retail”. Photo (L to R) Tom Porter BPA Area Manager, Harry Devine of Workman Retail, Inspector Ewan Wilson and Malcolm Cowan Security Officer.